Late in the 1930s, a family bought a piece of farmland in Wisconsin. The land was sold for a pittance because it had been over-farmed, the soil devoid of nutrients. The man that moved in decided that it was his responsibility to restore the promise of the land. In addition to planting trees and rebuilding the soil, he also sat in his cabin and wrote some of the most poignant words about our relationship with earth and nature ever penned. In 1949, Aldo Leopold died while helping a neighbor fight a brush fire. He did not live long enough to see his collection of essays, entitled “A Sand County Almanac” go on to become one of the three most important books about conservation ever written (Walden and Silent Spring being the others). His essays would also profoundly change the course of land use in America and throughout the world. 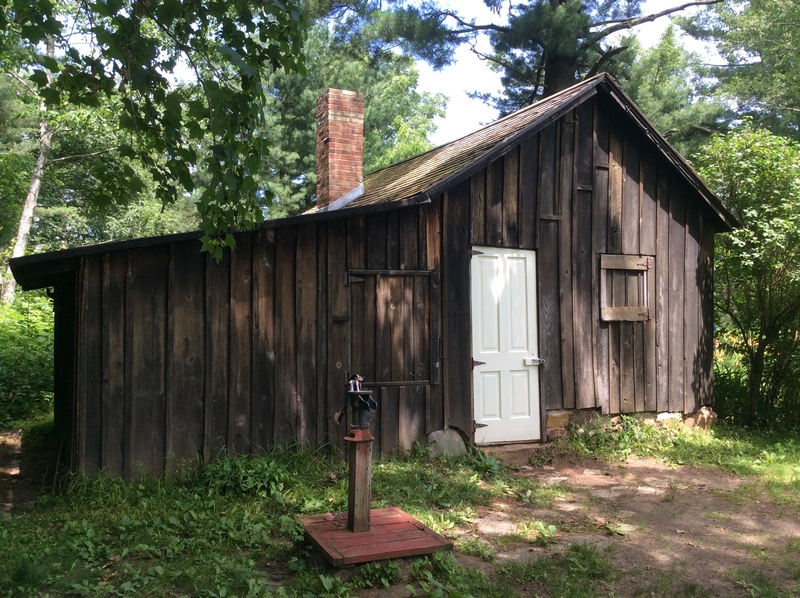 Today I visited Aldo Leopold’s self named “shack” and walked from it to the Wisconsin River on the same path where he so often found joy and inspiration. Also there was a group of young men and women training to become part of the U.S. Fish and Wildlife Service. It is good to know that Leopold’s concept of “living on a piece of land without spoiling it” continues to resonate. On this Fourth of July weekend, it seems doubly appropriate.